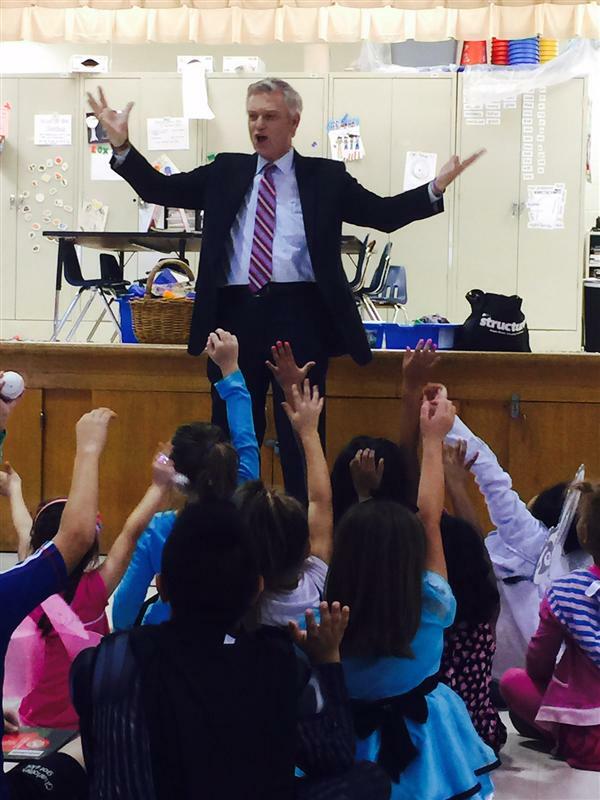 First graders recently experienced an “in-house” field trip. A “Walk in the Woods” was the title of the event. 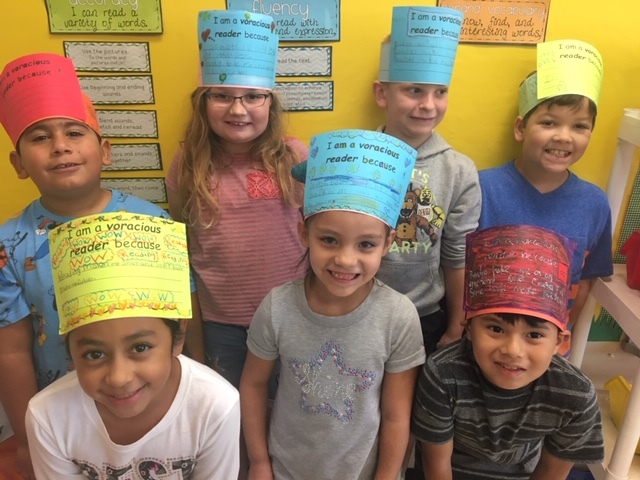 Students set reading goals to help them grow! 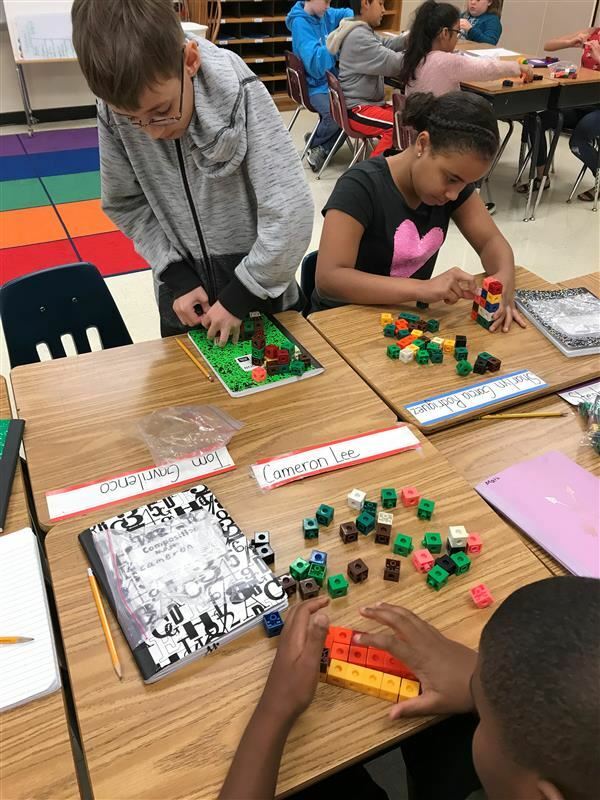 From the first bell in the morning to the last bell of the school day, UCPS kindergartners are fully engaged in developing new skills and a love for learning that will set them up for success in college, career and life. Happy Holidays! Happy Hanukkah! Merry Christmas! Feliz Navidad! Joyeux Noel! Froeliche Weihnachten! 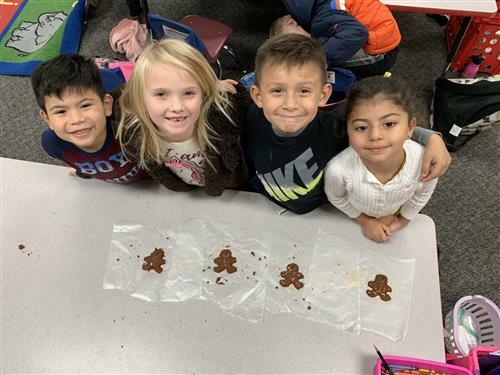 First graders learn about holiday traditions in other countries. Local artist shows students how to use everyday items to make art. 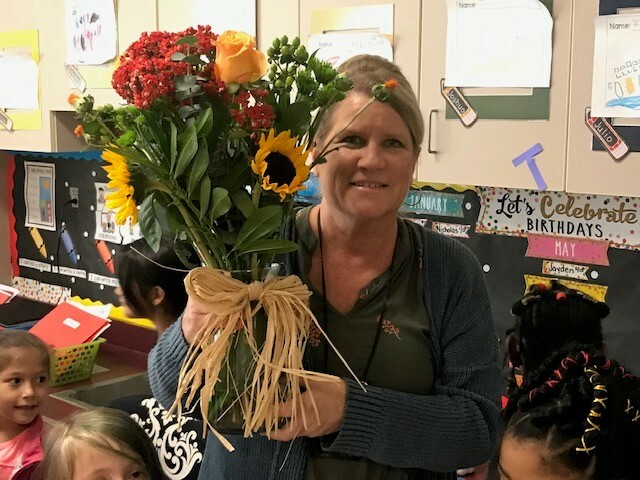 Congratulations to Sherray Barnhouse, Teacher of the Year at Sardis! Second graders are becoming voracious readers! 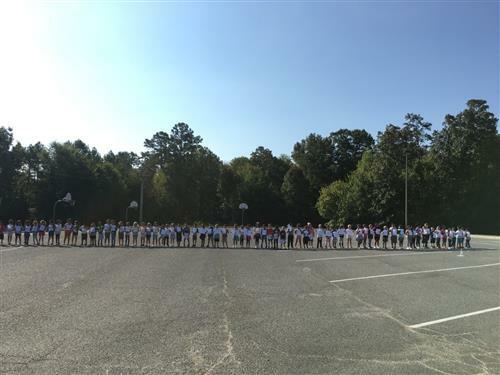 Sardis Elementary first graders recently learned about number order by forming a human number line. 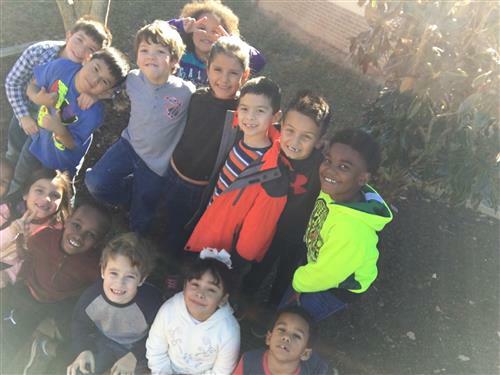 First graders learn about ecology and help out some feathered friends. 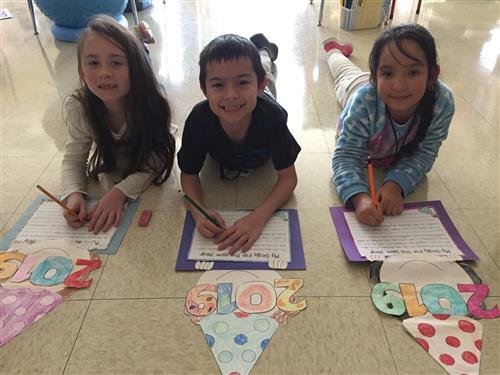 First Grader learn about holidays around the world! 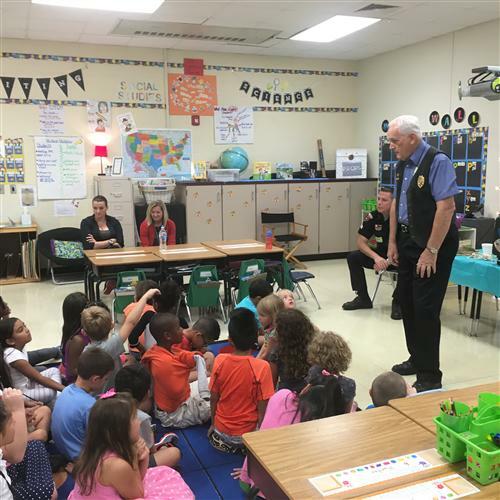 First graders hosted special guests to celebrate Veteran's Day. Fifth graders explore the ecosystems around them. 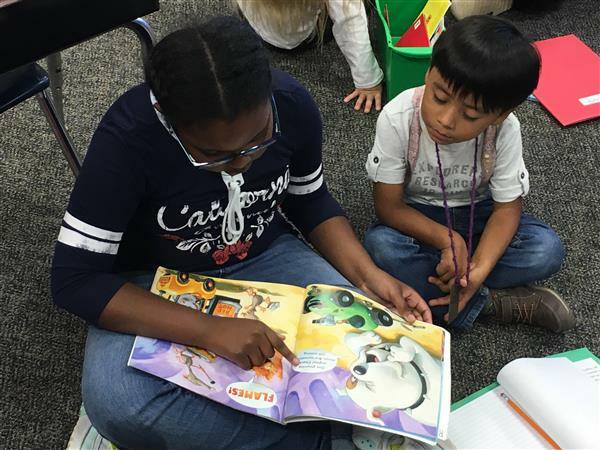 Fifth graders practice leadership by mentoring younger students. 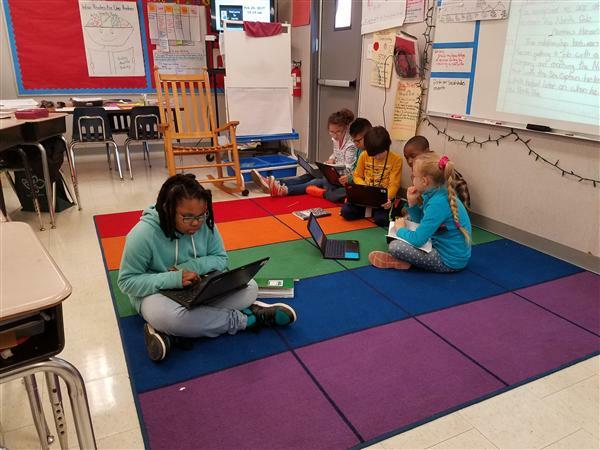 Fifth graders expand their knowledge through collaborative group projects. 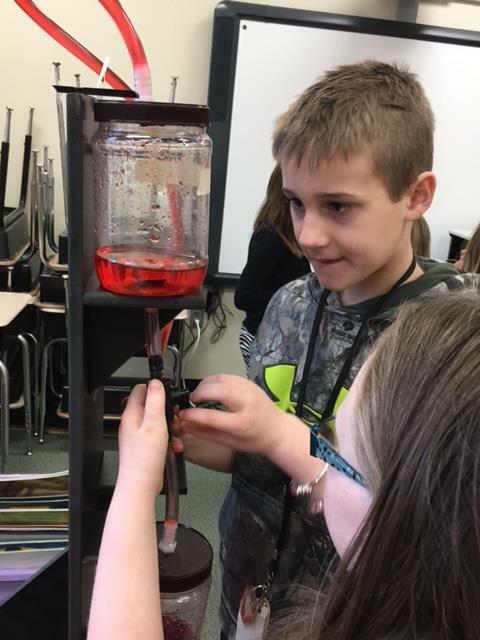 Fifth graders develop an understanding of volume through inquiry. 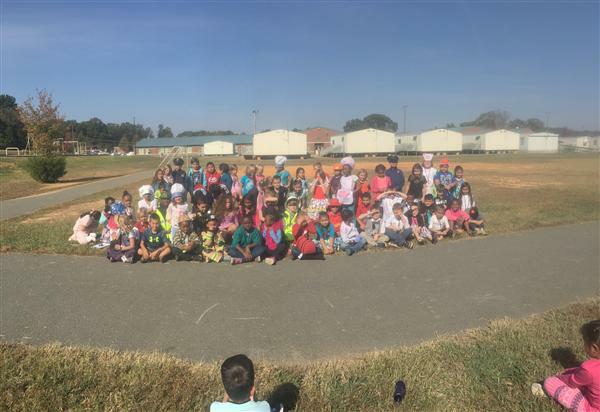 Second graders launch Kindness Rock Project! A great book offers an opportunity for learning and fun! Planning is the first step in Problem-based Learning (PBL). 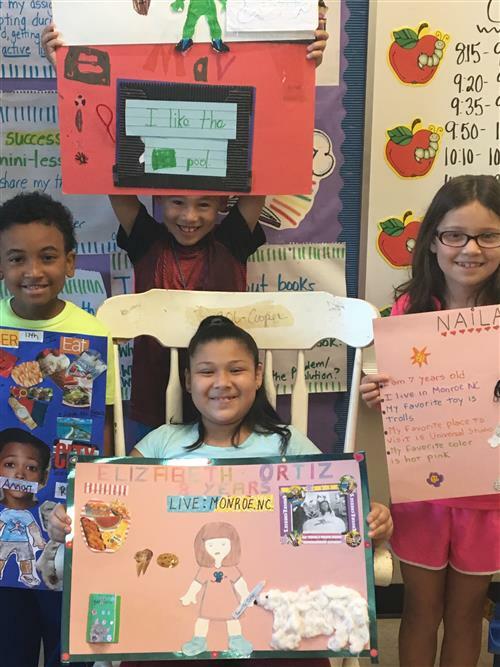 Personal projects enable students to share information about themselves with classmates. 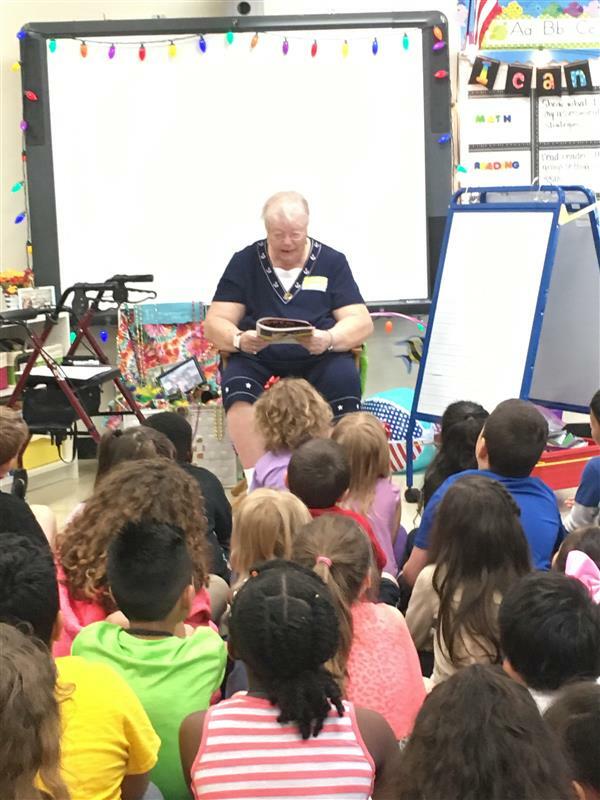 First graders host a special guest. 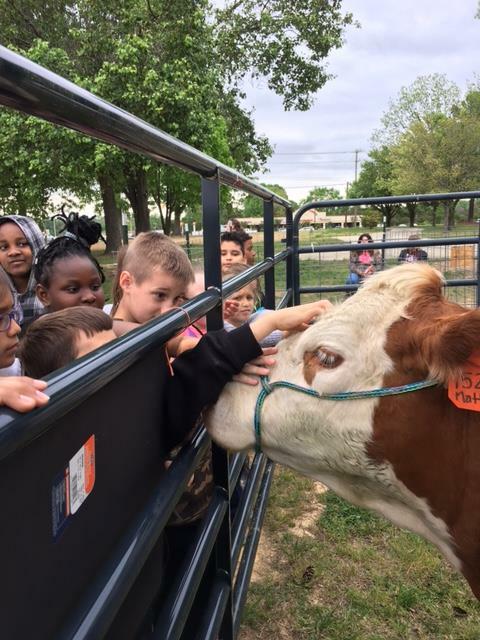 Third Graders Experience AG Day! Students travel to Sun Valley High for lesson in agriculture. Sardis fifth graders learn how to properly handle our nation's flag. Special Readers Visit Second Grade! Another awesome guest reader visits Mrs. Cochran's class! Discovery Place hosts an in-house field trip to bring learning home for kids! 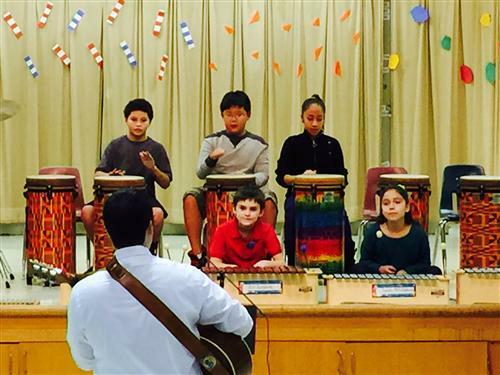 Students get opportunities to reflect, set goals and have fun! 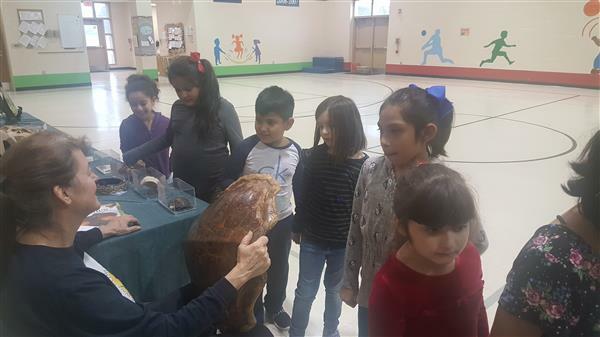 Students get a taste for learning about rocks and minerals! Fourth Graders get important lessons from history. 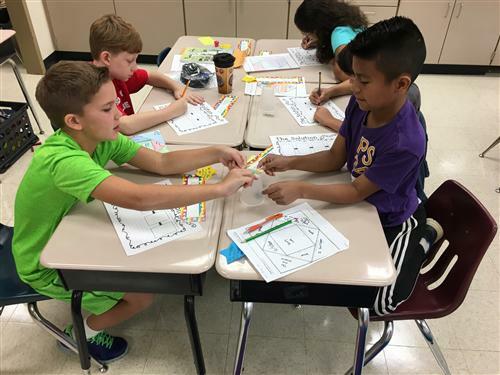 Fourth graders work hard to refine academic skills. 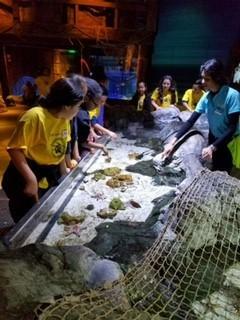 Students were able to get up close and personal with a variety of aquatic animals! 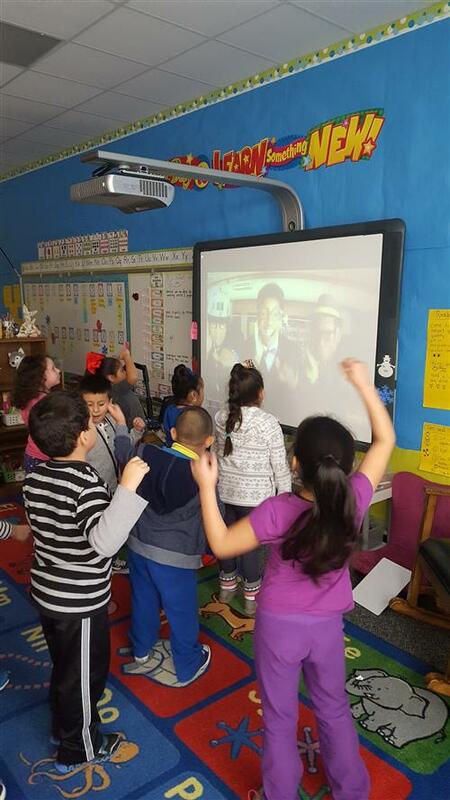 Students in Mrs. Wallace's class are moving and grooving while they learn! Amazing artwork is the result! Sardis Spellers Take the Stage! Great competition among third, fourth and fifth graders! 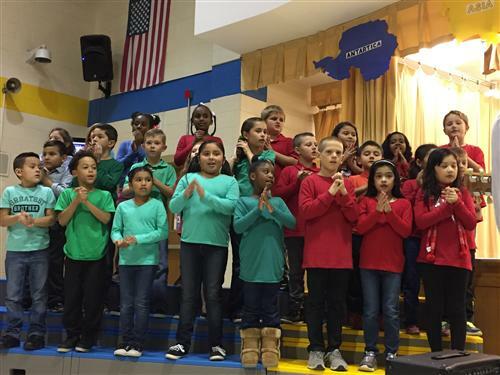 Second grade concert has a global theme. Second graders learn about the process of community development. Students focus on the future. The annual parade honors all who protect and serve our community. First graders practice "glow stick math!" 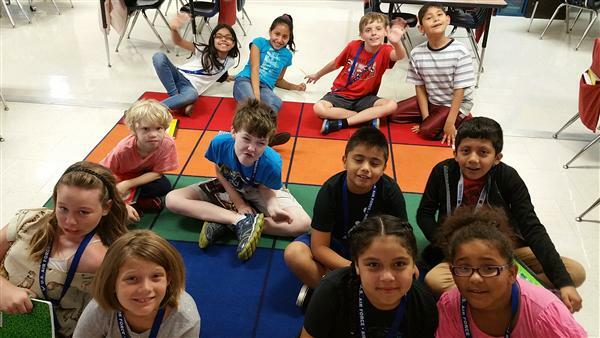 First and fourth graders learn from each other. Helpful reading strategies are on the menu! 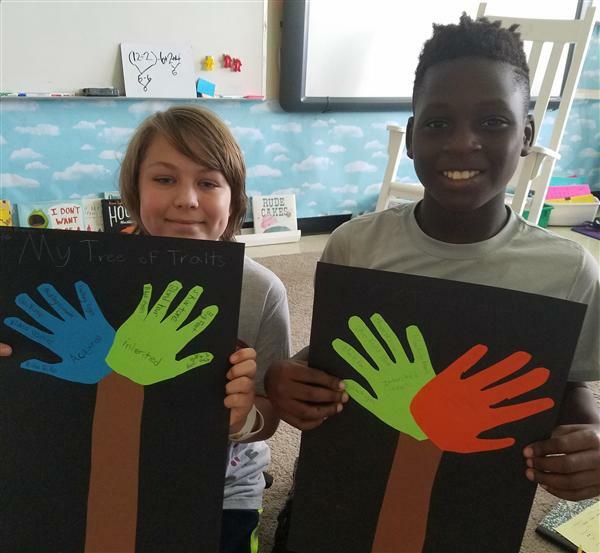 Students recently learned about inherited and acquired traits. 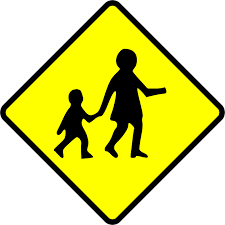 Enjoying the Summer with Safety Basics This year as a part of the Parenting with a Purpose classes, Sardis Elementary hosted an educational workshop on August 18th where parents and students had the opportunity to learn how to prevent injuries. 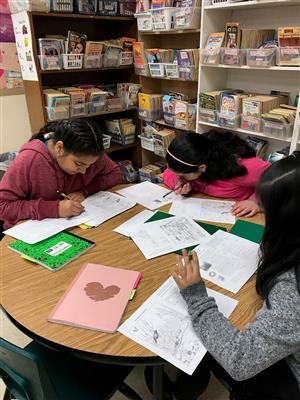 Students in Mrs. Gaio's class discover history through active engagement. 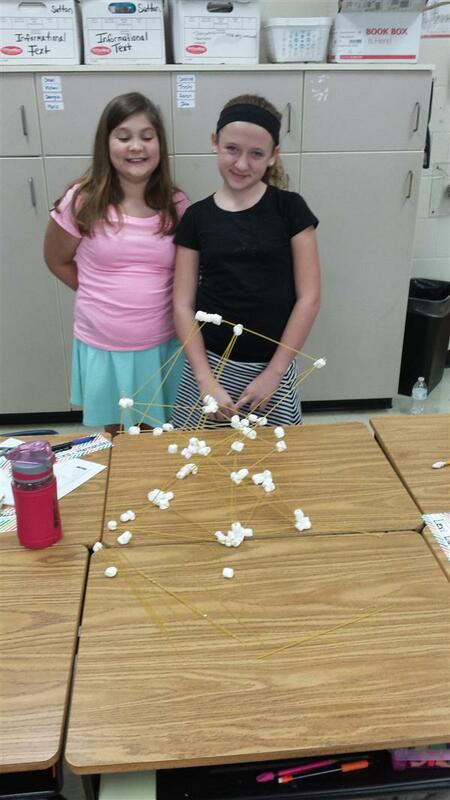 Students discover how important it is to work together to achieve goals. 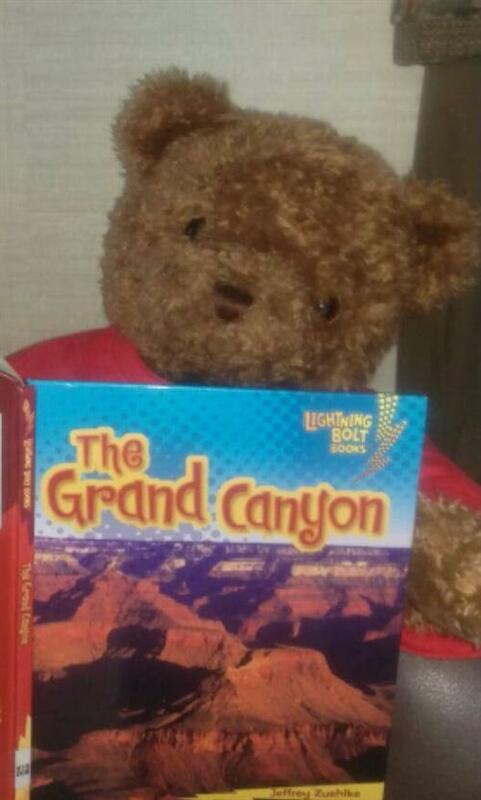 Chip the Bear tours the country. Fourth Graders Go Out On A Limb! 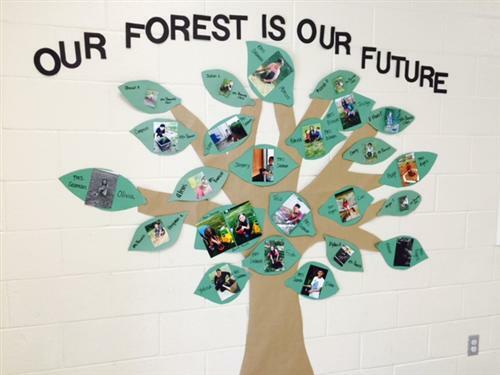 The town of Indian Trail puts a focus on ecology. 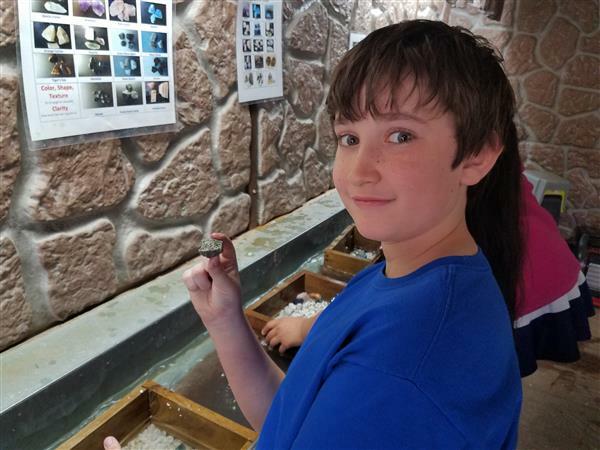 Mrs. Hancock’s 4th and 5th grade students experienced a field trip to the Biltmore House near Asheville, North Carolina on March 23, 2016. The students had “mountains of fun” while learning about Appalachian heritage and the Biltmore Estate. 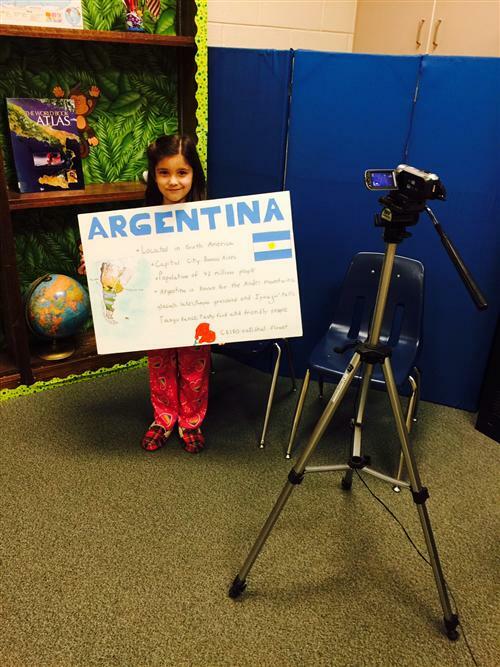 Sardis students represent countries all over the world! Timelines are helpful learning tools! Second Graders learn about research. In-house field trip is a "sound" experience! Students experience science from a global perspective! Learning Is "Snow" Much Fun! 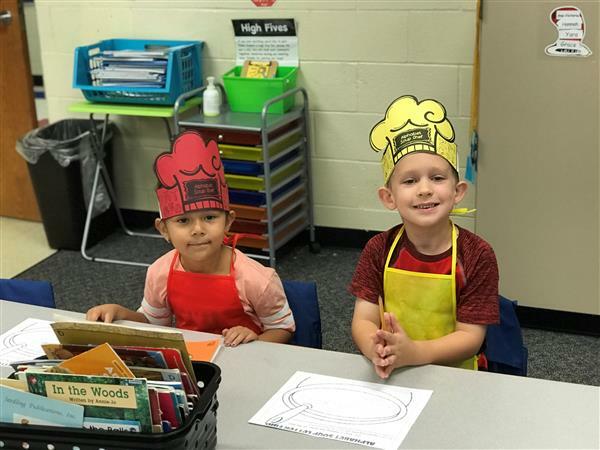 Students in Mrs. Tuttle's Kindergarten class learn through integrated experiences. Rotary Club makes a generous donation. 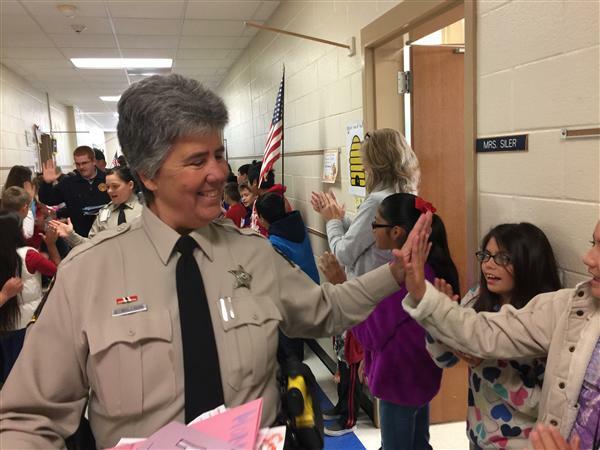 Monday, December 14th, 2015 was an exciting day at Sardis. 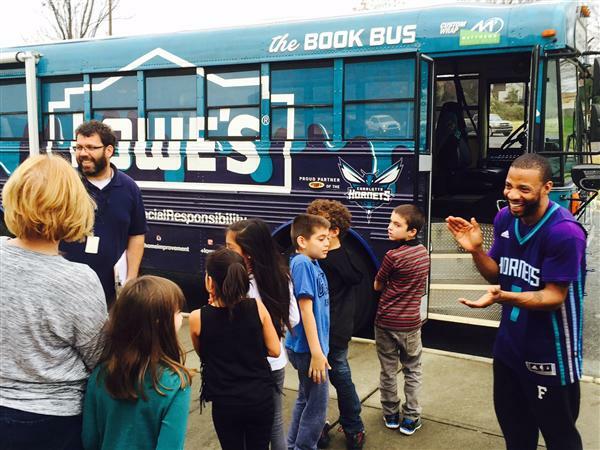 Hugo the Hornet, the popular mascot from the Charlotte Hornet’s Basketball team visited to the school to promote Hugo’s book bus. The book bus was a Hornet’s themed, decorated bus filled with books that the team donates to several lucky classes at the school. 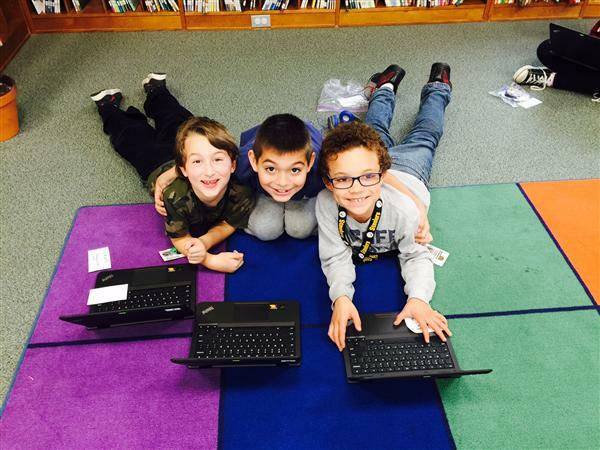 Students at Sardis participate in a world-wide effort to learn computer science. 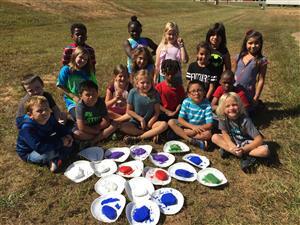 Mrs. Stalcup's class put forth a creative effort for Sardis! 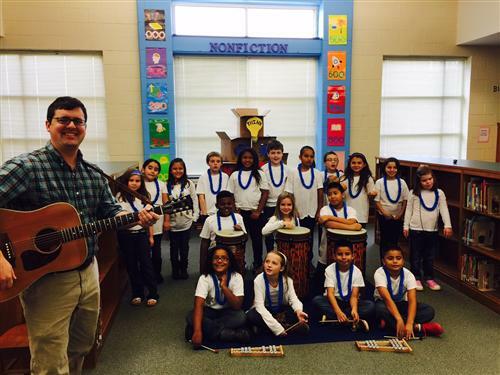 Mr. Wagner's first concert is a success! Firemen from the Hemby Bridge Volunteer Fire Department teach kindergartners about fire safety. 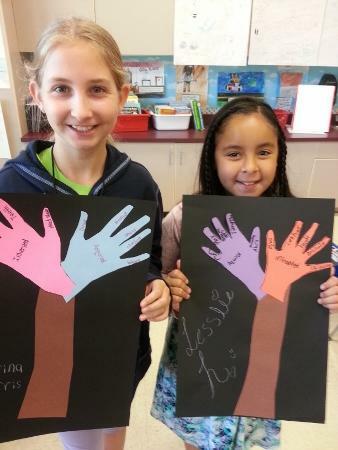 Students in Mrs. Geary's class develop friendships across the Atlantic. Reading comprehension strategies are on the menu at Sardis. 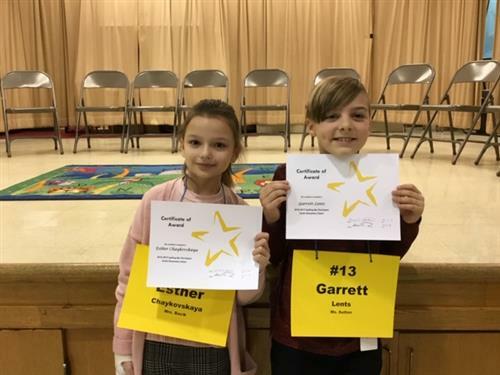 Sardis Elementary School’s first graders found a way to learn all about number order last month by forming a human number line. Do you know how to catch a star? Not a real star, but rather your hopes and aspirations. In other words, have you got what it takes to follow your dreams? Stephen Vaughn is trying to encourage young people to do just that. Vaughn recently wrote a book called How to Catch a Star. Have you ever wanted to know what makes you, you? Two things do! Everyone is born with certain traits that are called inherited traits. You get these from your birth parents. That is why you may have curly hair or freckles. Your experiences also make you who you are. These things are called acquired traits.